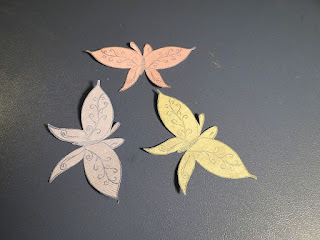 Here's a great way to use up some of your scraps and create an amazingly cute 3D embellishment. 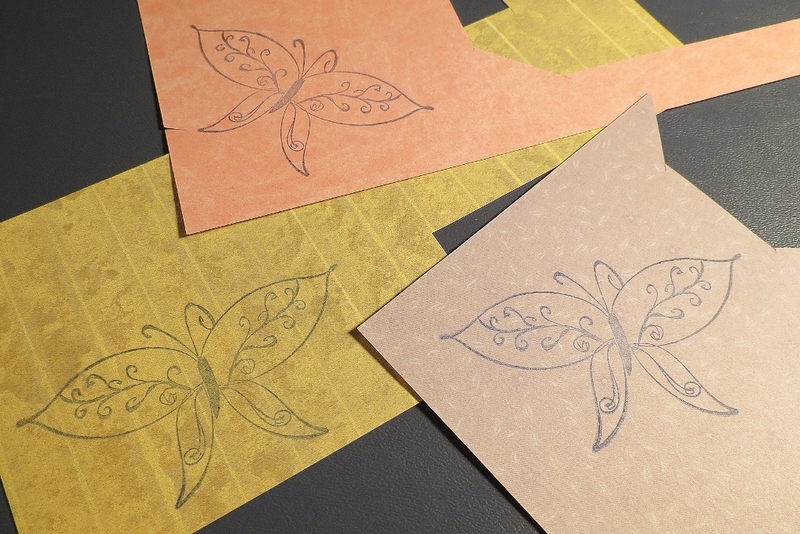 Stamp an image three times, once on three different patterned papers. Simple shapes are easier to match up, but anything will work if you have a little patience. Cut around the edges of each image so they match up. This is why a simple shape is easier. You could also use a punch if you'd like. 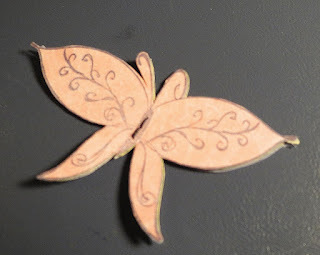 With a sewing needle, poke small holes in the top image. 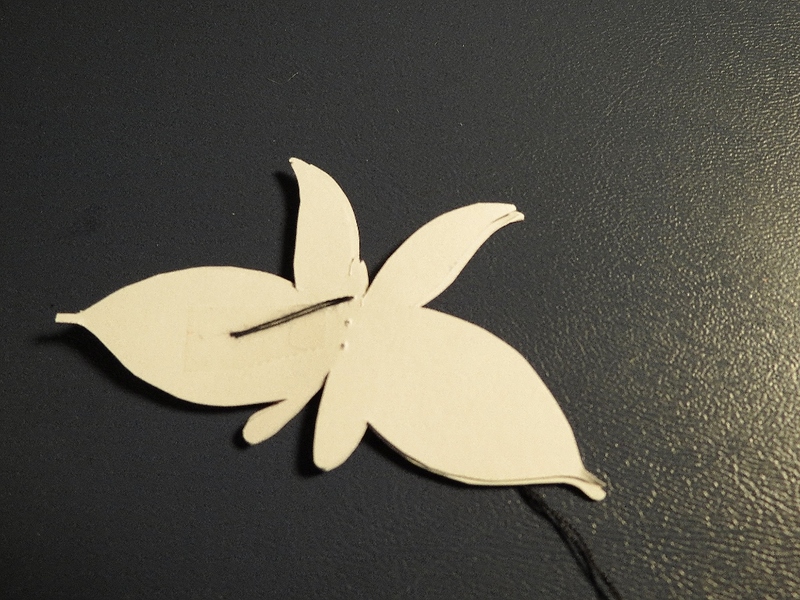 I only did three here because it's such a small butterfly, but you'll need enough to run the length of your project. Then use the top layer as a template to poke holes in the remaining images. Attach thread to the back of the bottom image and sew the three layers together. It will only take a couple of stitches to keep them together. Secure the thread on the back. But Laura, that looks terrible! Who wants to look at thread? Not me! 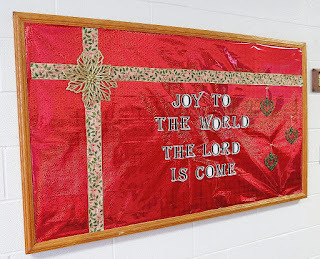 Cover it with beads, gems or other texture to cover up your work. 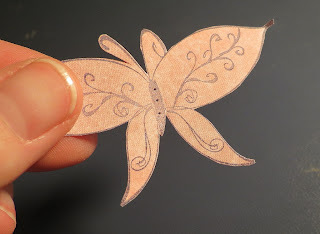 Fluff the wings a little and you have a layered, textured 3D embellishment. 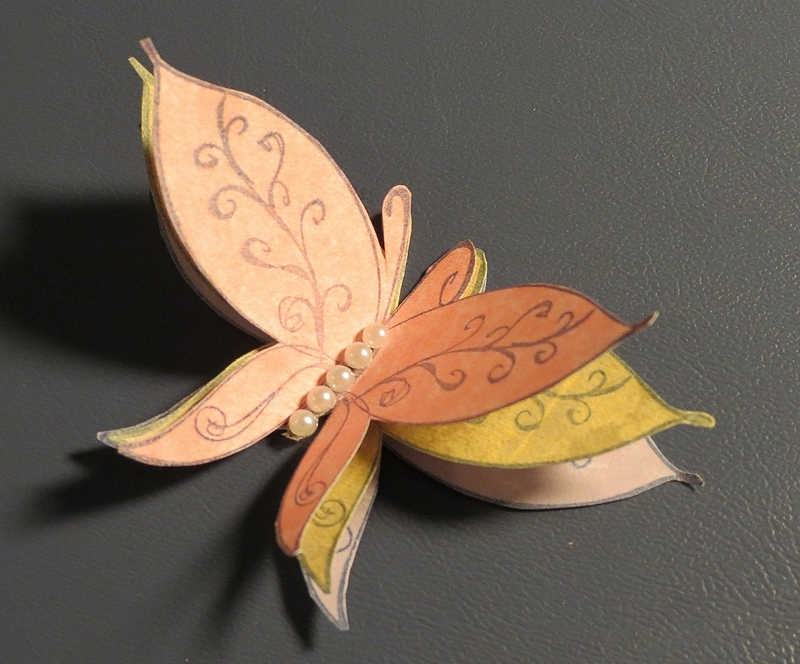 It's perfect for any card, scrapbook page or other paper craft.